The US THAAD missile defense system, controversially deployed in South Korea, is now capable of defending against North Korea’s missiles, US officials have said. The Terminal High Altitude Area Defense (THAAD) system – designed by the US and aimed at detecting and shooting down missiles – has been installed in South Korea and has reached capability to carry out its functions, Reuters quoted US officials as saying. "US Forces Korea confirms the Terminal High Altitude Area Defense (THAAD) system is operational and has the ability to intercept North Korean missiles and defend the Republic of Korea [South Korea]," US Forces Korea spokesman Col. Rob Manning told Sputnik news agency on Monday. South Korea set up a “restricted operating zone control measure” over the site where THAAD is located on April 30, controlling air space. The battery is being prepared for initial operations, the officials added. The system has “initial intercept capability,” defense officials said, according to NBC. JUST IN: US THAAD missile system in SKorea is operational, and has "initial intercept capability," defense officials tell @NBCNightlyNews. The system will be fully operational later this year when the rest of the components arrive, a US official told AFP. THAAD’s deployment has been opposed by China, which is concerned that its radar may be used for spying on its territory, or that it will generally undermine the strategic balance in the region. However, the US has dismissed these allegations, saying that the system is only a means of defense. Beijing has already introduced a set of measures targeting South Korea, such as a ban on tour groups. The Seoul-headquartered multinational conglomerate Lotte, which had owned the golf course where THAAD is stationed, has also had 85 out of its 99 stores in China shut down. And South Korea’s biggest car manufacturer, Hyundai Motor, has complained that sales in China have significantly decreased. 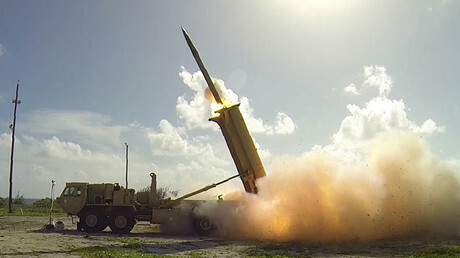 The THAAD agreement between the US and South Korea was reached in July 2016 with the first components of the system beginning to arrive in early March. 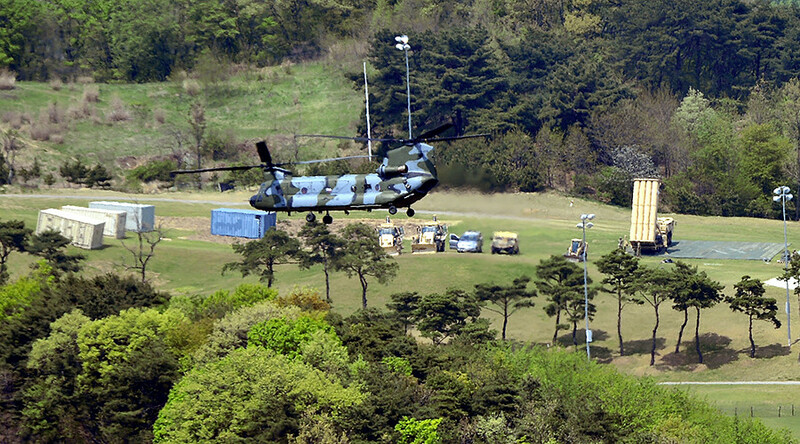 Seoul is providing land, while Washington is expected to foot the bill, according to the terms of the deal. Trump then raised the issue of THAADS’s funding. “I informed South Korea it would be appropriate if they paid. It’s a billion-dollar system,” Trump said. Seoul has emphatically refused to alter the terms of the contract. “There is no change in South Korea and the United States’ position that our government provides the land and supporting facilities and the US bears the cost of the THAAD system’s deployment, operation and maintenance,” the South Korean Defense Ministry said in a statement. 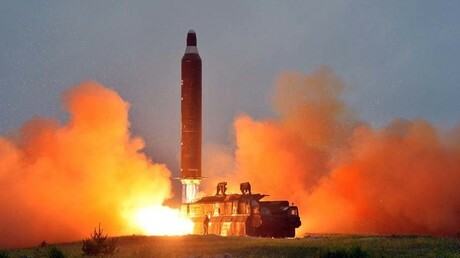 The deployment is taking place against a backdrop of escalating tensions on the Korean peninsula following several missile launches carried out by Pyongyang and the US warning that “major conflict” is a possibility.